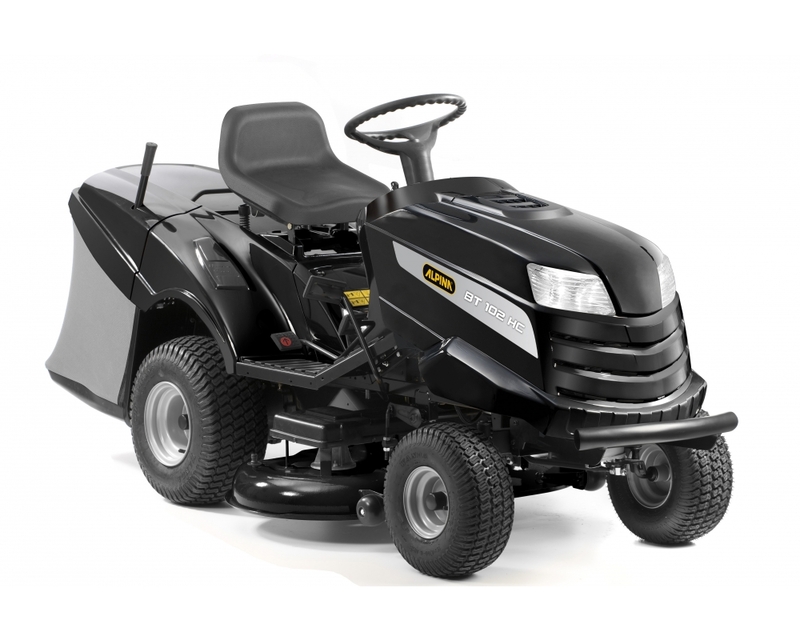 The Alpina BT 102 HCB is a sturdy and multi-use tractor suitable for collecting clippings of medium/large gardens up to 5800m2. 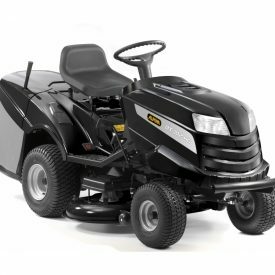 It features a 102cm cutting deck with anti-scalp wheels, 7 cutting height adjustments engaged thanks to an electromagnetic clutch and it is powered by a Briggs & Stratton 500cc engine with a pedal driven hydrostatic transmission. The 260 liters grass collector, the ergonomic steering wheel , the front headlights and the bumper make this machine extremely secure and confortable to use. It includes the battery charger.